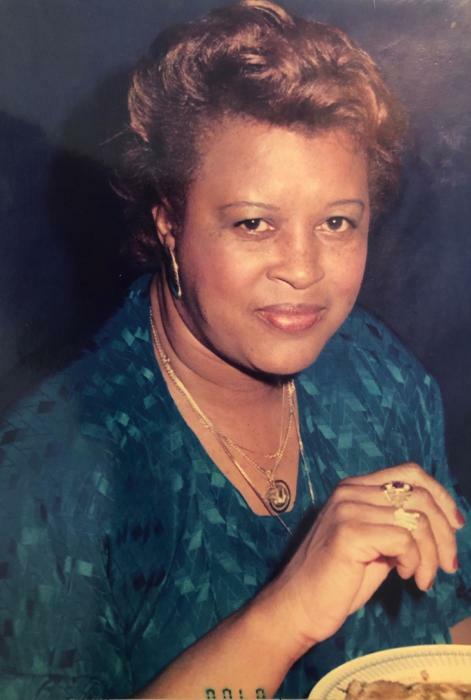 A homegoing celebration for Mrs. Mavene T. Shields of Tampa, Florida who passed away on Friday, November 23, 2018 will be held on Saturday, December 1st, 2:00 p.m. at New Mt. Zion M.B. Church, 2511 E. Columbus Drive, Rev. Larry Roundtree II pastor, officiating. The interment will be in Rest Haven Memorial Park Cemetery. Mavene was born on March 6, 1943 in Donaldsonville, Georgia to the late J.C. Turner, Sr. and Eddie Eva Mitchell. She was a member of New Mt. Zion M.B. Church. She was preceded in death by her parents; sister, Carolyn Parks; 2 brothers, McArthur Turner and Wesley Jones; and husband, Jeff Shields. She leaves to cherish her fond and loving memories with her daughter, Sandra Fuller; grandchildren, Desiree and Byron Ross and Juwan Fuller; brothers, Joe and Andrew Turner; sisters, Johnnie Mae Calloway and Mary Freeman; cousin, Maxine Williams; special friends, Liz McQuay and Janice Shields (Jeff) and a host of other relatives and friends. The visitation will be held at Aikens Funeral Home on Friday, November 30th from 5:00 to 7:00 p.m. The family will receive friends from 5:00 to 6:00 p.m. The family and friends are asked to meet at the church on Saturday for the service.